CLASS 20 No. D8007 is pictured following a repaint in BR green with TOPS number 20007. It is based at the Midland Railway-Butterley and is seen on July 8 with classmate No. 20189 outside the diesel depot at Swanwick Junction. 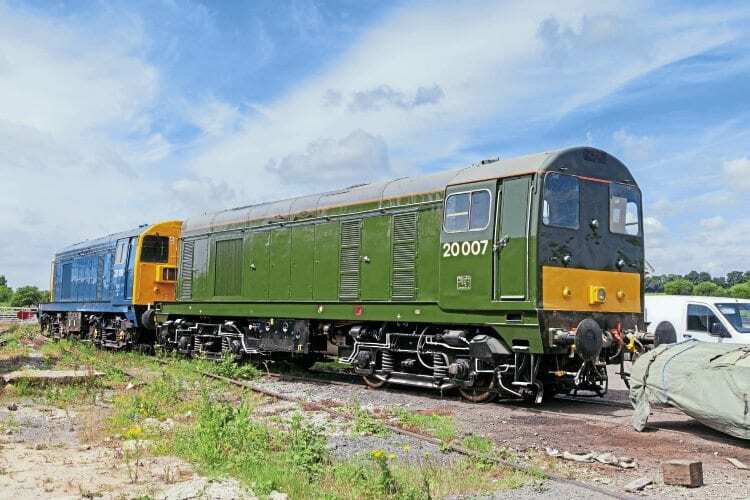 Recently repainted 20007 stands with classmate 20189 outside the diesel depot at Swanwick (MRC), on Saturday 8th July 2017. No. D8007 had previously received comprehensive attention at St Leonards Railway Engineering, East Sussex. It is now in the care of the Class 20 Locomotive Society following acquisition from its former owner at the Great Central Railway (Nottingham).